Everyday our bodies are exposed to external toxins such as pollutants, pesticides, and chemicals. At the same time, we internally produce waste byproducts through normal metabolic function. Although our body is designed to release internal and external toxins naturally, there is no living system that has the ability to rid itself completely of all the toxins and waste products it encounters. Over time, this build up leads to an ever increasing toxic load contributing to various medical conditions. There are approximately 80,000 chemicals registered for use in the US. The Centers of Disease Control and Prevention reports that hundreds of these chemicals are present in our bodies. Research has shown that many of these chemicals can disrupt our immune, endocrine, nervous and reproductive systems. Detoxification programs work to enhance your body’s natural ability to detoxify any unwanted substances, improving overall biological function and accelerating the body’s healing process. A healthy detoxification is of utmost importance in a variety of medical conditions and therapeutic procedures. Your toxic load is the amount of toxins that your body needs to process. By answering the following questions, you may gain some insight. Yes No Do you drink coffee or tea regularly? If the majority of your answers are “yes”, then it is likely that your diet contributes significantly to your toxic load. Beyond diet, many external toxins, such as perfumes, cleaners, and pollution, add to your load. You may be exposed to chemicals because of the work you do. Women in particular need to detoxify every year to get rid of excess estrogen. When the liver and the gut fail to metabolize and excrete estrogen on a monthly basis, estrogen may get reabsorbed and stored in the fat tissue. This can cause PMS symptoms, may lead to endometriosis and can also promote tumor development, especially in the breast. We encourage you to fill out our toxicity questionnaire to understand how your level of toxicity is impacting your health. Join our Group Detox program and transform your body and your life. Our Group Detox program is based on the 21-Day Standard Process Purification program which is designed to cleanse and detoxify your entire body, decrease inflammation, and initiate healing and weight-loss where necessary* . Through the consumption of tasty whole food shakes and whole food supplements included in the Standard Process Whole Food Purification kit along with whole, unprocessed, preservative free foods and plenty of pure spring water, your body will receive all the necessary phytonutrients, vitamins, minerals, and antioxidants that are needed for optimal health. Whole food nutrition and supplements make the difference. Watch the video to learn more. The 21-Day Purification Program only uses whole food nutrition and supplements. By “whole food”, we mean they contain only real, whole, organic protein and vegetables. Unlike most synthetic supplements, which are made from GMO high fructose corn syrup or coal tar, Standard Process whole food supplements don’t contain synthetic compounds. To better understand how the Standard Process 21-Day Whole food Purification Program works, watch our video and read the detailed instruction booklet. For additional information, tips and tricks and recipes during your program, read our Group Detox newsletter. Register for our Group Detox program today. Register early and get $50 OFF**! The best time to detox is in the beginning of the new year. Join our Group Detox program and attend our weekly Group Detox meetings. 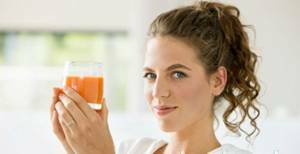 Detoxing together with friends, family or other patients is fun and so much easier. It helps you to stay on track and get the most out of the program. Our next program is scheduled for January 2017. Detox with family & friends and save an extra $25! Start the program the latest on Saturday January 21 and feel renewed just in time for Valentine’s…. Call our office today and register at 408-517-0706. *Please note this program is not for everyone. If you are pregnant or nursing, suffering from any chronic illness or degenerative disease, please call us to make sure this program is right for you. **$50 OFF only on above group detox program. Not applicable on other services or supplements.